As part of its monitoring of the movement of ships in Yemen, the Arab Coalition supporting the Yemeni government announced that the Bahia Damas, a vessel carrying diesel for in Yemen has been stuck in the port of Hodeidah for 23 days, as the Houthi rebels refuse to unload it. 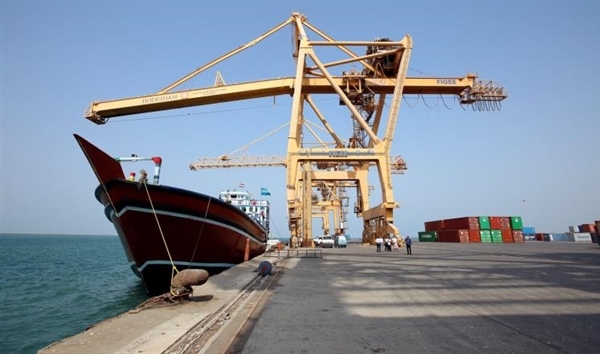 The coalition issued 7 statements to the ships heading to Yemeni ports carrying food and oil derivatives yesterday, pointing to the anchoring of 4 ships in the port of Hodeidah yesterday, and that 5 others were waiting to enter the port. The rebel militia's continuous prevention of ships to unload their cargoes, is having a severe impact on the humanitarian situations in the province of Hodeidah and the rest of Yemen.